Love astronomy, but don’t like to stay up late? Here are 10 space objects you can see – under the right conditions – during the day. If you think that daytime sky nature-watching is limited to clouds and birds, you might be missing out. Observing space objects in the daytime has its limitations and difficulties, but, as with all skywatching, it also has its rewards. So here is a list of 10 surprising space objects to see in the daytime sky. Aside from the first three listed below, each of these daylight observations is relatively difficult, but straightforward if you’re prepared. On the other hand, the observations toward the bottom of the list aren’t possible to predict. That said, here they are, in increasing order of difficulty: your top 10 space objects to see in daylight. 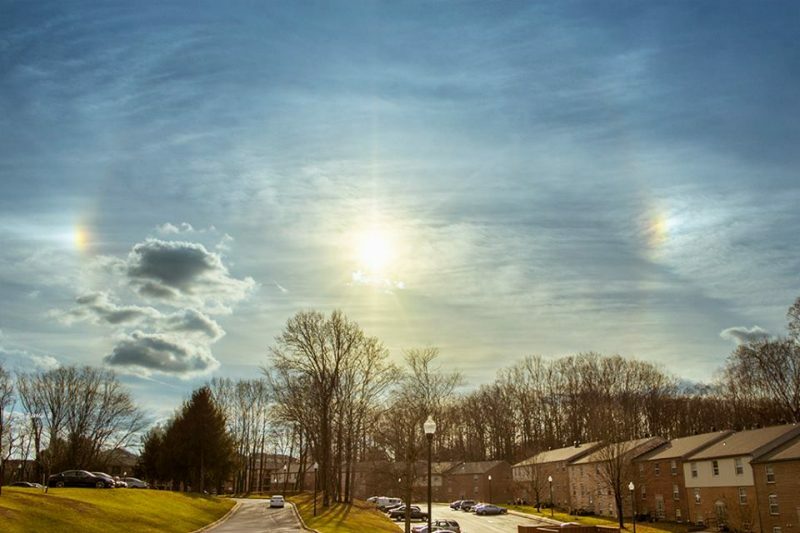 In addition to the 10 items listed here, there are atmospheric phenomena such as this beautiful solar halo and sun dogs. While not quite space related, they are sky related and well worth coming to know. Image via Rima Biswas in Baltimore, Maryland, December 2016. 1. The sun. Obviously, you can see the sun during the day, but paradoxically, we’re told not to look, for fear of harming our eyes. And that is quite right. 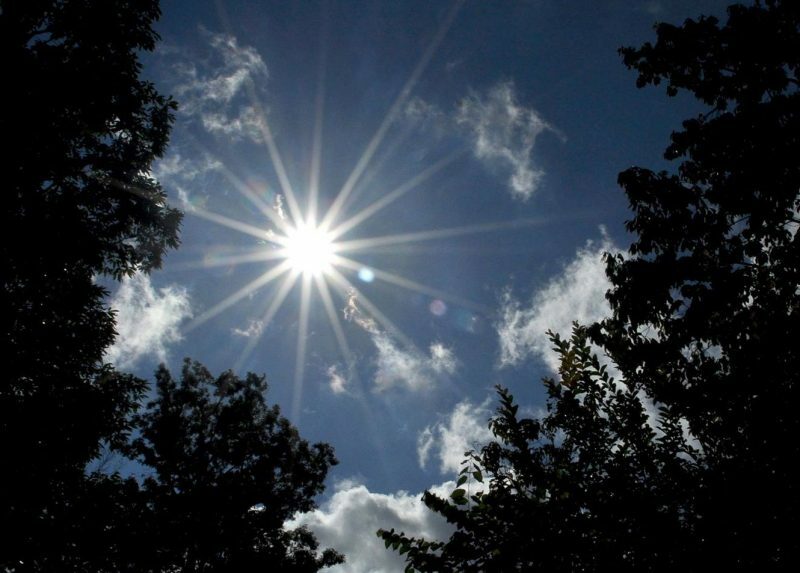 Gazing at the sun directly can damage your eyes. If you do take precautions – and rig up a simple indirect viewing method for sun-watching, like the one shown here – what would you be looking for? Most people look for sunspots, which are sometimes quite large. It’s easy and fun to count the number of sunspots you see from day to day. That doesn’t take long, and, if you keep a record of what you see, you can notice profound changes over time. That’s because there’s an 11-year sunspot cycle, during which the dark spots on the sun’s surface wax and wane. We’re in an ebbing phase of the cycle now, but we still sometimes receive photos from people of sunspots, captured through telescopes with safe solar filters. And, in the coming years, the number of spots you see on the sun will gradually increase until the cycles peak. If you’re interested in sunspots, we recommend following the website Spaceweather.com, which tracks them and offers mobile phone alerts. And of course, the sun is the source of a whole range of atmospheric effects, which are beyond the scope of this post. 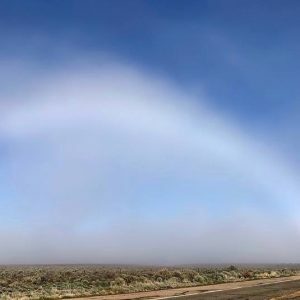 Try searching here at EarthSky for words like “halo around the sun,” “rainbows,” “iridescent clouds,” “the glory.” Or browse Les Cowley’s great website Atmospheric Optics. You can often see the moon during the day. 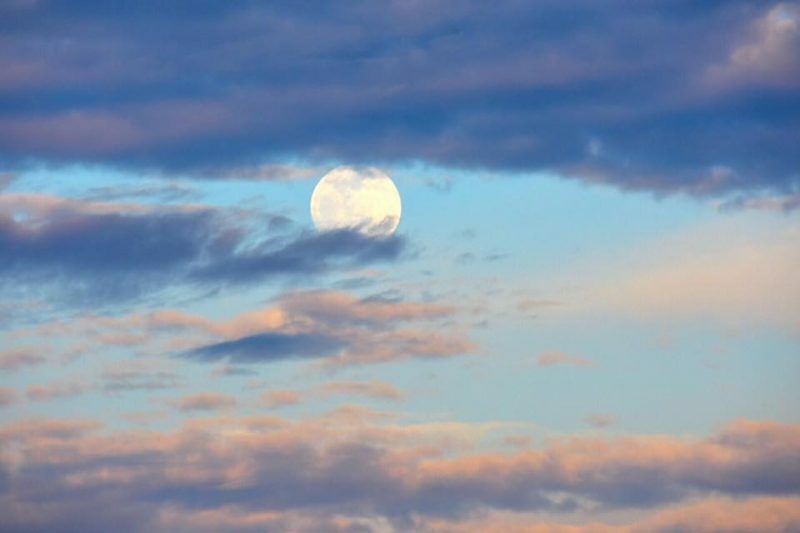 Here’s an almost full moon, ascending in the east in evening twilight. Beautiful! Photo by Jenney Disimon in Sabah, North Borneo. 2. The moon. I don’t have any survey statistics, but I’d be willing to bet that at least 75% of the public is unaware that the moon can be seen in the daytime sky. That’s not too hard to understand, since so many people nowadays spend so much time indoors and are unaware of the sky at all. In addition, the moon is not in the daytime sky every day. Like the sun, it is below the horizon half the time. Add that to the fact that much of the time the moon is up during the day, it’s a thin crescent too close to the sun to be seen easily. It’s easy to see why some people are surprised to discover the moon in the daytime sky. But voila. If you look up frequently, you’ll notice it often. 3. The planet Venus. Anyone who is surprised that the moon can be seen in the daytime will be amazed that, under the right conditions, you can see the planet Venus with the sun also in the sky. The image above shows Venus as a crescent, like a tiny crescent moon, but Venus appears as a crescent only at certain times in its orbit, and some optical aid is needed (in this case, a telephoto lens) to see it. More about that below. To the eye alone, though, Venus appears as the brightest planet, a tiny white dot that often seems to “pop” out at you in a daylight sky, once you find it. Anyone who has seen Venus in a reasonably dark sky knows that it is usually truly brilliant. Observations in the daytime sky are more difficult simply because the surrounding sky is so bright during the day. The contrast between planet and sky is much lower during the day, making the planet harder to see. Imagine how easy it is to see a bright light at the top of a tower at night versus daytime. That’s similar to seeing Venus at night versus day. In June, 2018, as seen from around the globe, Venus can be found easily in the west after sunset. It’s exceedingly bright, but not as bright as it will be later this year. What’s happening is that Venus is catching up to Earth in the race of the planets around the sun. It will pass between us and the sun on October 26, 2018. 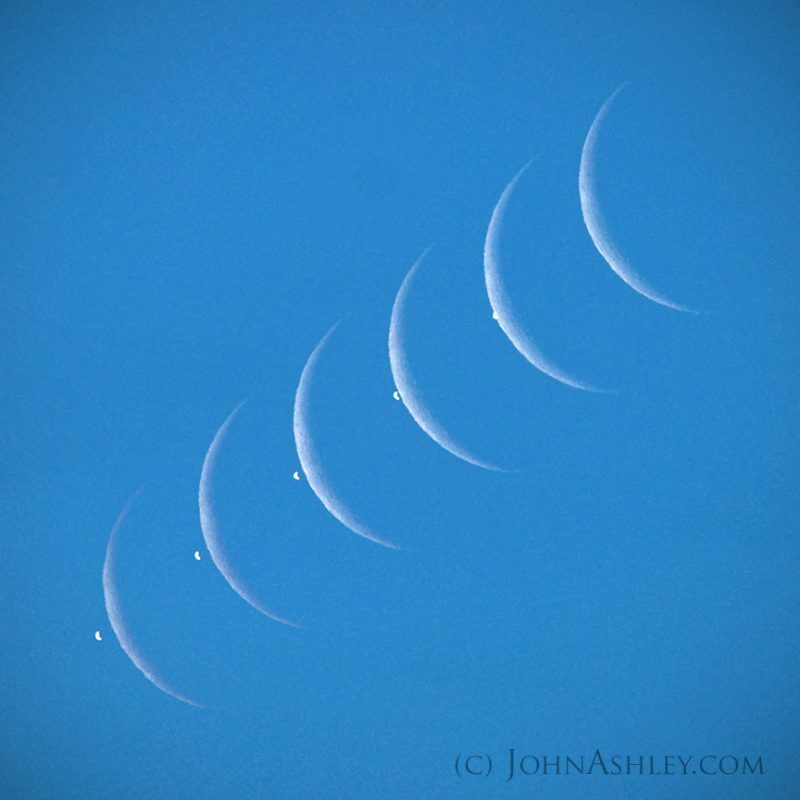 In the weeks before and after that event (which is called an inferior conjunction of Venus), the planet will be visible as a crescent in a telescope, much as you see in the photo by John Ashley above. 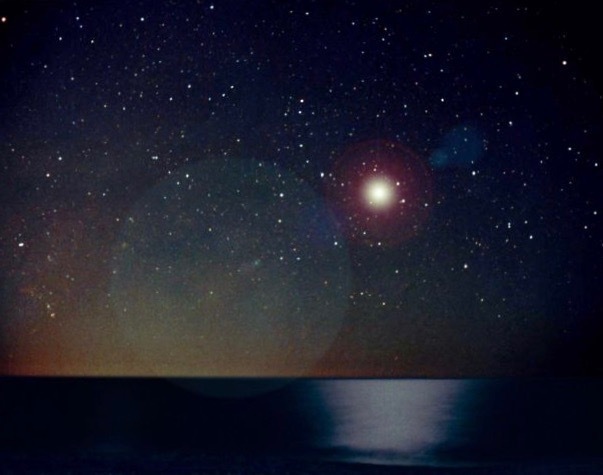 Read more: Why is Venus so bright? ISS is sometimes (and sometimes not) brighter than Venus. Here it is in a daytime sky. Image via Spaceweather.com/UniverseToday.com. 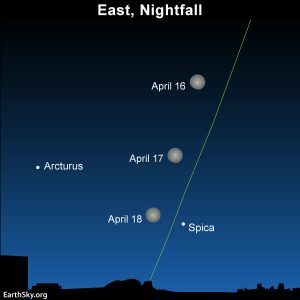 Many folks are very surprised that satellites can be seen at all, but these days they are quite common in dark, nighttime skies. Seasoned observers are more surprised when an hour of nighttime observing goes by without seeing at least one! They look like steadily moving “stars” – silent – and very high up. So, at night, it’s very easy to see satellites. But how about during the day? There are two sorts of satellites you’re most likely to see in daylight. One is the International Space Station (ISS), which is sometimes (but not always) the third-brightest object visible in our sky, after the sun and moon. Why only sometimes? The position and thus brightness of ISS in your sky is variable, depending, for example, on where the space station is with respect to you (i.e., passing overhead versus passing farther away, and nearer your horizon). Also, the brightness of Venus – which we also often describe as the sky’s third-brighest object – varies. 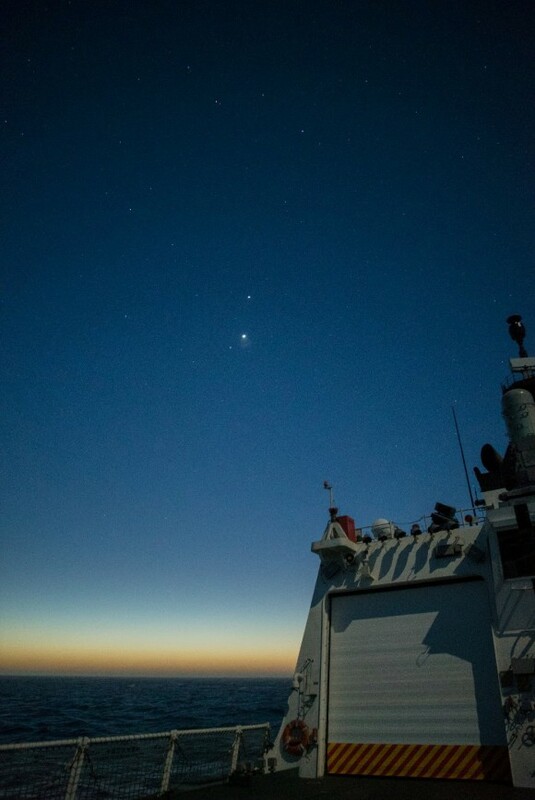 Sometimes ISS is brighter than Venus, and sometimes Venus is brighter than ISS. Still, ISS is a very bright satellite. If conditions are optimum, you might see it in daylight. Spotting ISS when it’s visible in your sky is a fun pastime. Eventually, you can get so experienced with these sightings that you’ll recognize when one will occur in daytime, over your location. Here’s an article that’ll help you get started. But we said there were two sorts of satellites you might see in daylight. The second is an Iridium communications satellite, which also have very reflective surfaces. Under the right conditions, they can reflect enough sunlight to appear as bright dots moving across the sky for a few seconds. These flashes are known as Iridium flares. 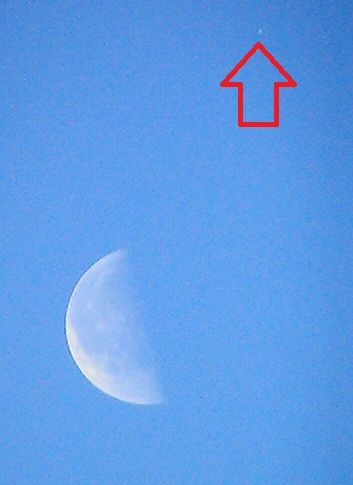 Jupiter captured in 2012, during a close pass near the moon. Image by Dave Dickinson (@Astroguyz on Twitter) via Universe Today. 5. The planet Jupiter. Even some seasoned astronomers are surprised to learn that mighty Jupiter can be glimpsed with the unaided eye in a sunlit sky. I don’t want to mislead you, as this isn’t an easy observation. Jupiter is significantly dimmer than Venus, and finding it takes a good bit more effort (not to mention exceptionally good eyesight and excellent atmospheric conditions). The best time to see Jupiter in daylight is when it’s near a “quadrature” when Jupiter is about 90 degrees away from the sun in the sky. This is similar to the arrangement of first quarter and last quarter moon. In fact, it is also very helpful to have a quarter moon nearby as a kind of sky landmark to guide you to Jupiter. Notice the quarter moon in the image above, for example. And, by the way, the reason you want the planet at quadrature – about 90 degrees from the sun – is that the sky is slightly darker there, due to a phenomenon known as polarization. When will Jupiter be at quadrature next? Pretty soon, as it happens, in early August, 2018. Okay, it’s not quite daylight in this image, but close. See the bright triangle? Brightest is Venus. Mars just below it. Jupiter – second-brightest – above Venus. Bryan Goff took this photo on October 30, 2015 from the USCGC Stratton, deployed in the Pacific Ocean. 6. The planet Mars. Only a relative few observers have caught Jupiter with the unaided eye the daytime, and even fewer have seen Mars. However, it is possible. And indeed 2018 is the year to attempt this observation because Mars will be briefly and very slightly brighter than Jupiter, for a few weeks around July 27, 2018. Although I personally have not seen Mars in the daytime sky (I’ve seen Jupiter twice), a correspondent in the Middle East has reported to me an apparently genuine observation, and I have no doubt that it can be done. Positions of stars and planets during the August 21, 2017, total solar eclipse, first total solar eclipse visible from the contiguous U.S. since 1979. Illustration by Eddie Irizarry using Stellarium. Read more about this chart. 7. Stars during eclipses. Stars can be seen in the daytime sky, but this is a bit of a cheat. 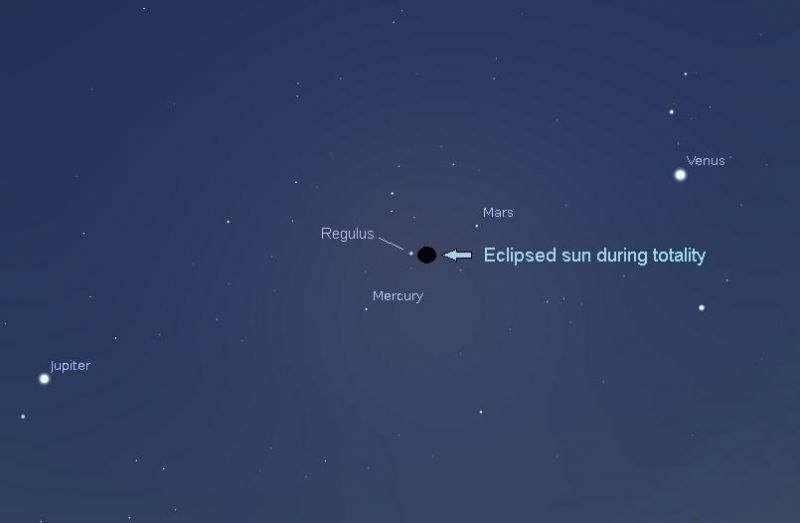 Stars, along with the brighter planets already mentioned, can be seen with the unaided human eye in a daytime sky (that is, when the sun is above the horizon) normally only during a total solar eclipse. Such observations are of historical significance, and in fact played a crucial role in one of the first confirmations of Einstein’s theories of relativity. A few observers report that they have seen some bright stars, such as Sirius, with the unaided eye in the daytime sky. If indeed this is possible, it would require exceptional eyesight and exceptional sky conditions. On the other hand, observers with telescopes can see certain bright stars (not to mention the bright planets) on any clear day, although the scientific reasons for doing so are few and far between. Stefan Seip, in Stuttgart, Germany, captured Comet McNaught in broad daylight, with a blue sky and white puffy clouds on January 13, 2007, one day after the comet’s closest point to the sun (perihelion). He used an Astro-Physics 155mm aperture f/7 refractor working at f/14 with a 2x barlow lens and a Canon EOS 1Ds Mark II DSLR and 1/500th of a second exposure (!) at ISO 100. 24 frames were stacked for the final image. Image via AstroPix.com. 8. 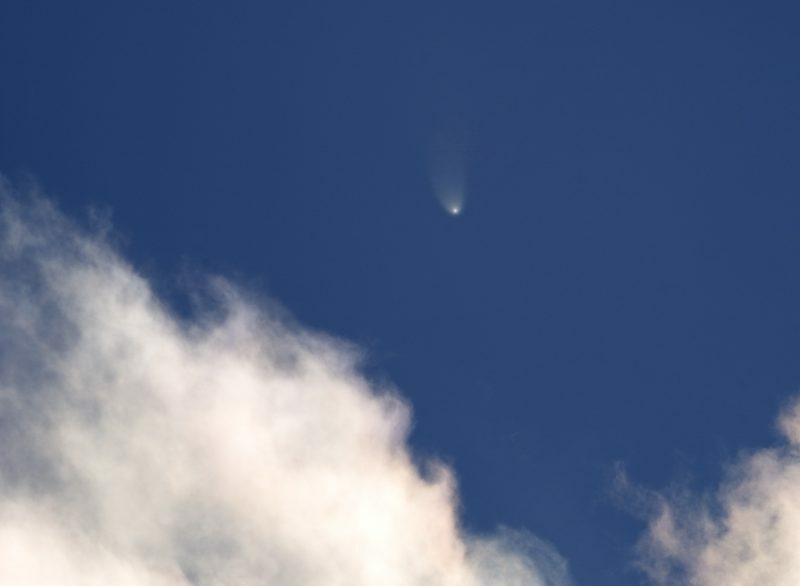 Daytime comets. Like the meteors with which they are sometimes confused, bright comets have been documented in the daytime sky. In fact, although not necessarily easy to observe, they are not all that rare. Comet McNaught became visible in daylight skies in 2007, and a bright daytime comet preceded Halley’s Comet in 1910. Daytime comets are perhaps easier than daytime meteors because they sometimes can be predicted a short time ahead. 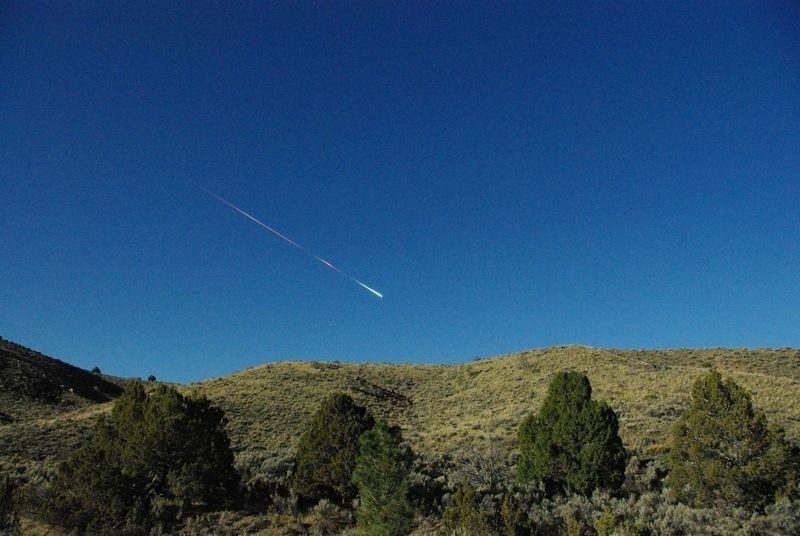 The Sutter’s Mill meteor – a daylight meteor – caught from near Reno, Nevada on April 22, 2012. Photo via Lisa Warren. 9. Daytime meteors. Rare and unpredictable, very bright meteors – or bits of space debris vaporizing as they encounter Earth’s atmosphere – are sometimes seen in the daylight sky. Although they occur in the high atmosphere, they are included in this list because they are caused by small space objects, many which are known to be parts of comets or from the asteroid belt. One of the most famous incidents occurred over the western part of North America in 1972. It was seen and even filmed by observers from Utah to Alberta. Another recent daylight meteor was reported over California and Nevada on April 22, 2012. This meteor streaked across the daylight sky, creating a sonic boom that rattled windows. It was seen by thousands. Later, astronomers said the meteor began as a mini-van-sized asteroid, and they located a debris field containing fragments of the meteorite, which is now known as the Sutter’s Mill meteorite. By the way, the 2013 Chelyabinsk meteor also would surely have been seen in daytime, if the sun had been up over Russia when it penetrated the atmosphere, causing an exceedingly bright flash and powerful shock wave, and breaking windows in six Russian cities. Needless to say, the meteor caused a panic, and with good reason. It caused some 1,500 people to seek medical treatment, mostly from flying glass. Last on our list of space objects (sometimes) visible in the daytime sky are supernovae, or exploding stars. Estimates vary as to the expected frequency of supernova explosions in our Milky Way galaxy from as many as once every 20 years to once every 300 years. We don’t have enough records of these infrequent phenomena to give much of an average. Many of these would not even be visible from Earth due to intervening gas and dust. In any event, the last supernova bright enough to be seen in the daytime sky was in 1572, and then only barely. The most likely candidate for a supernova explosion visible during daytime is the star Betelgeuse. Unquestionably it will be visible in the day sky when it explodes, but when that will be is still unknown. It could be tonight, but more likely in a few thousand, or tens of thousands, or maybe even a million years from now. The supernova of 1006 was likely the brightest observed stellar event in recorded history, reaching an estimated -7.5 magnitude, and exceeding the brightness of Venus by roughly 16 times. Observers across China, Japan, Iraq, Egypt and Europe saw and described it. Astronomer Tunç Tezel offers this suggestion of how it might have looked (at night), based on a photograph he took in 1998 from a site overlooking the Mediterranean south of Antalya, Turkey. The image is described further in the Astronomy Picture of the Day for March 28, 2003. Bottom line: A rundown of the top 10 space objects you can see – under the right conditions – with the unaided human eye during the day.